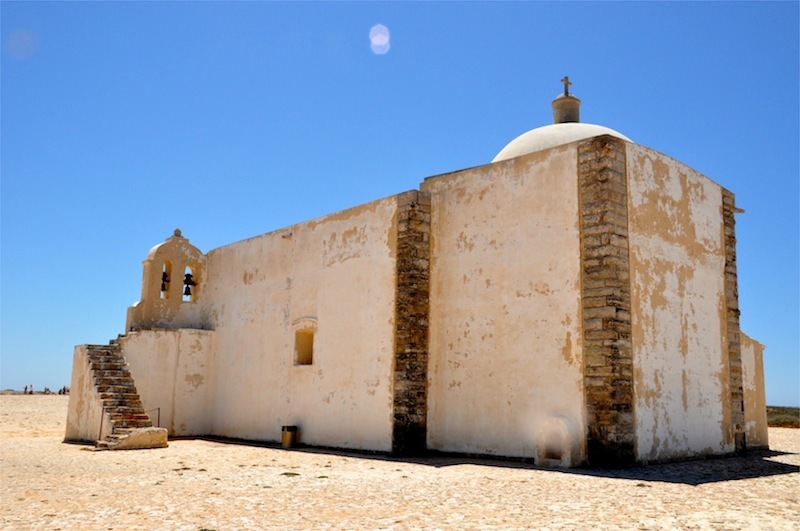 The Algarve is the region along the southern coast of Portugal, the southernmost point in Europe, from where Portuguese explorers first sailed to Africa and then onwards to India. The sea dominates the landscape here, from the towering cliffs at Sagres, to the sun-baked sandy beaches of Albufeira. Today tourists throng the beaches, soaking up the glorious sunshine. 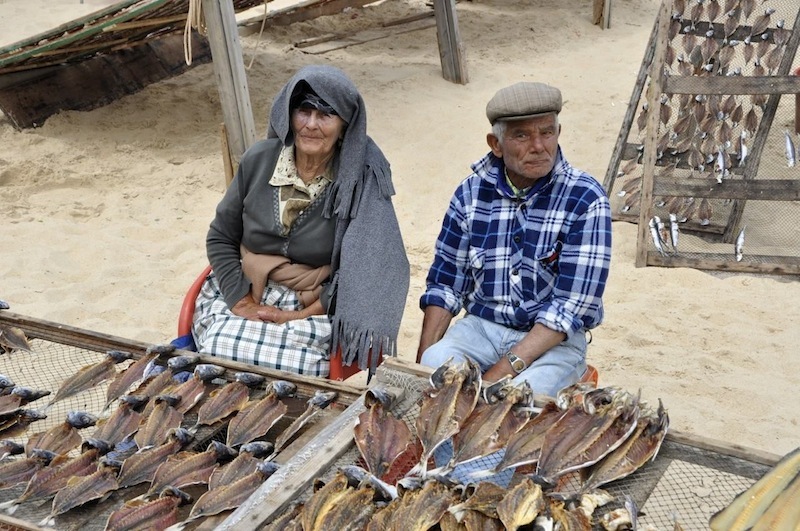 Between the gleaming new beach resorts you can still find ancient villages where local fishermen pull in the day's catch, just as they have done for centuries, and spread it onto nets to dry. Area restaurants make use of all the wonderful variety of seafood available. Sitting in the shade, sipping a cold glass of white wine and feasting on fish, while gazing out at the breathtaking scenery - what more can one ask for? 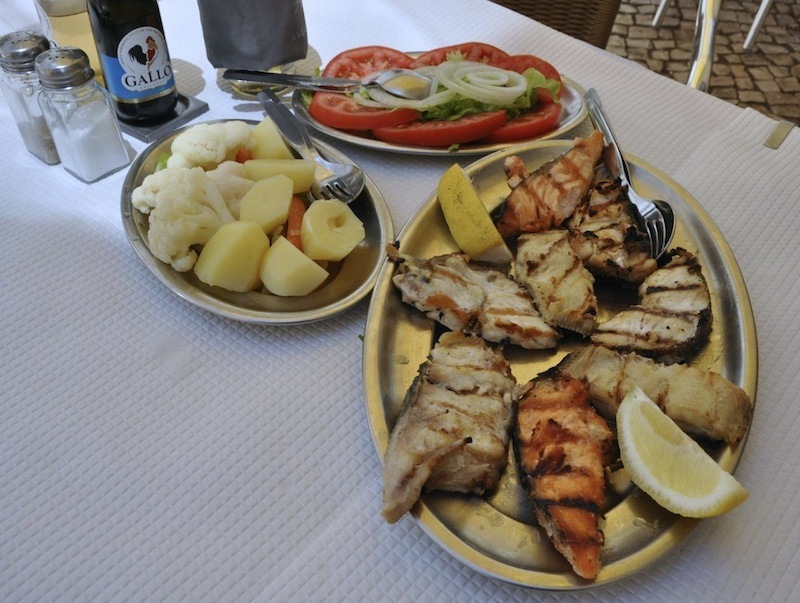 Fresh fish is prepared very simply in Portugal so as not to hide its delicate, natural flavour. We often ate it grilled with just a drizzle of olive oil, a sprinkle of salt and pepper and sometimes a bit of chopped garlic and parsley. The many varieties of freshly caught fish each had their own distinctive flavour too, which could be savoured in every bite. We tasted salmon, sea bream, sea bass, sardines, halibut and many other kinds of fish new to us. One of our most memorable experiences was at a restaurant called A Grelha, near the beach resort where we were staying. We were lured in by the savoury aroma wafting through its doors, but found it hard to know what to order since there seemed to be no menu. 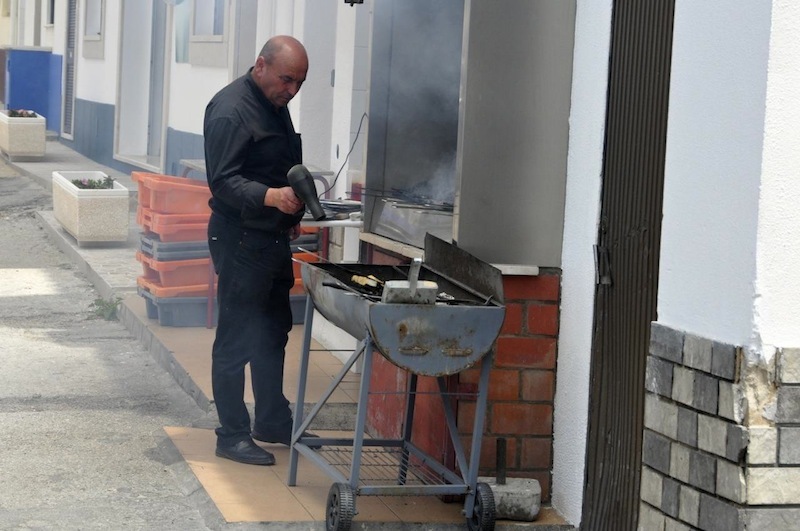 The only phrase we understood was "grilled fish" and sure enough, a cheerful man bearing a laden tray stopped by and deposited a whole grilled fish, head and tail included, on our plates every few minutes. Wondering how much this was costing us, since we had not yet seen a menu, we stopped after 4 pieces each. Our waiter seemed most disappointed and tried his best to entice us to eat more! It was only then we realised that this was an eat-all-you-can restaurant, where for a very reasonable price you could fill up on every variety of fish possible. To make him (and us!) happy, we went back suitably hungry the next day and did justice to the food this time! 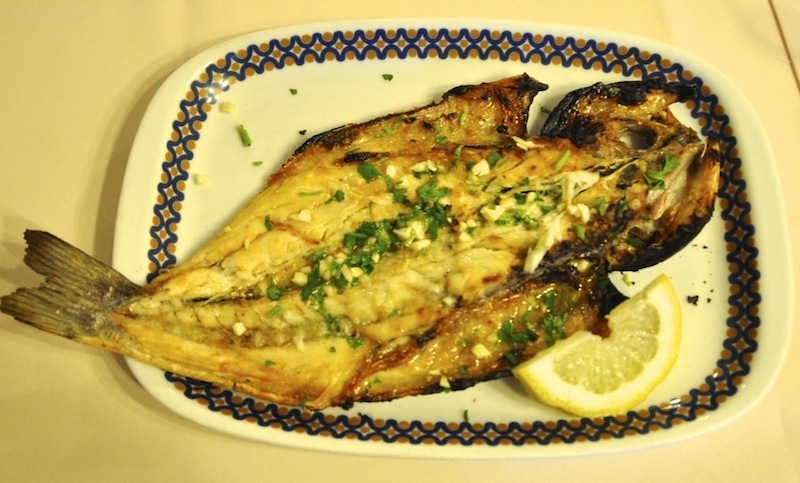 Eat-all-you-can grilled fish is a concept more restaurants need to introduce! Goan cuisine too, reflects its coastal influence with its wide variety of seafood. Having been a Portuguese colony for over 400 years, typical Goan cuisine is a skilful blend of Portuguese and Indian ingredients, and is unusual, delicious and unforgettable! 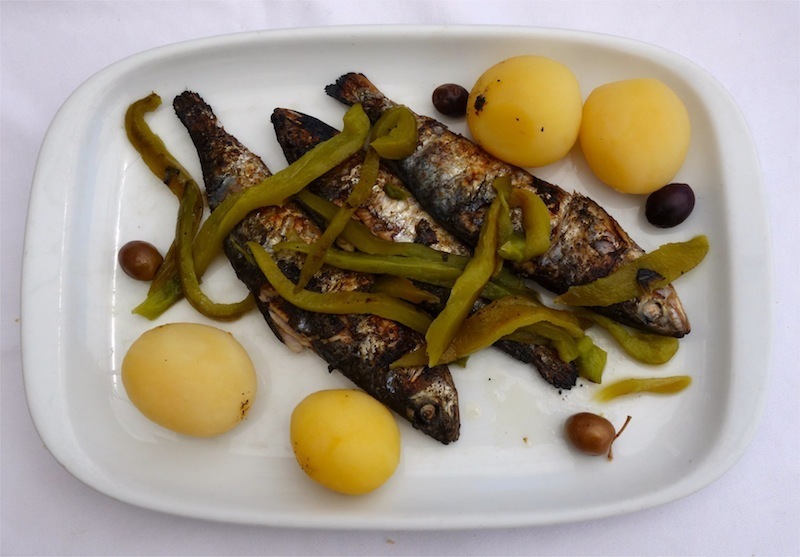 My recipe for grilled fish, Goan style can be cooked on a barbecue in the summer and baked in the oven in the winter. It tastes great either way! If you're nervous about flipping the fish, grill it skin side down, then transfer to a baking tray and broil in the oven till the top is lightly browned and cooked through. For variety, you can substitute jumbo shrimp in place of the fish, using the same marinade. If you'd like to prepare a complete Goan inspired meal, try serving Goan Paella and Chicken Samosas as well! Place fish skin side down on large flat tray. Combine all remaining ingredients, except lemon and slather over top of fish. Marinate in refrigerator for 1 hour or longer. Preheat barbecue to medium heat. Place fish on grill and cook until flaky and cooked through, about 6-7 minutes per side, depending on thickness of fillet. Serve with a squeeze of fresh lemon juice over top.